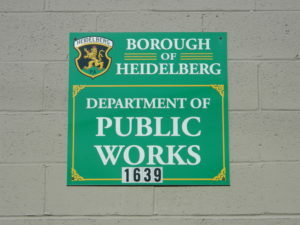 The Heidelberg Department of Public Works is responsible for the beautification of our town. They perform street maintenance, snow removal, grass cutting, and storm water maintenance. They are responsible for 8.33 miles of roads within the Borough. 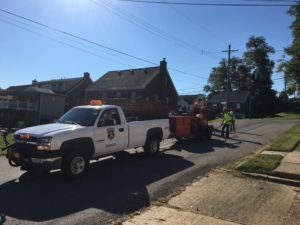 They work very hard all year long to make our town looking great. Trash pick up is every Thursday and is contracted to Republic Services. Trash is not allowed to be put out before 5:00pm the day before trash pickup and all containers must be removed from the curb by 9:00pm the day of collection. All trash must be stored in a proper container to prevent attracting rodents.